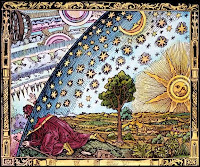 My inspiration was the Flammarion engraving. 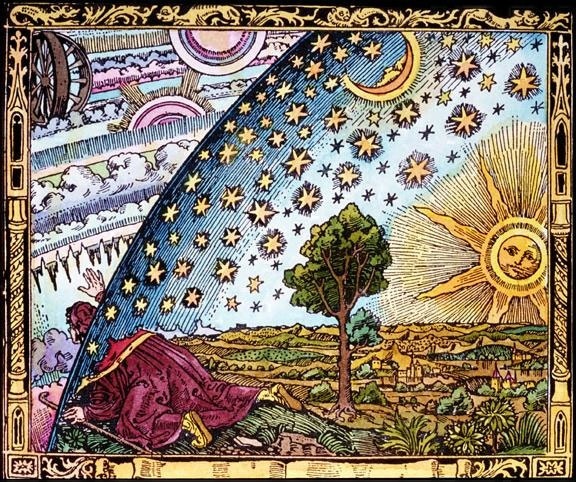 At school I had a note-book with this picture of a man, peering through the Arch and staring at heavenly chariots and strange unearthly shapes. 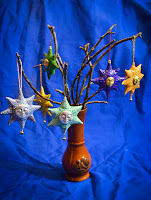 And behind him there are the Sun and The Moon, with faces, beautifully depicted. By some chance, I was lucky to by a mold with faces, which I thought, would be perfect to create suns and stars, resembling those Flammarion images. This is how the sleeping stars appeared. It is strange, but I almost love them And do not think too much about some possible imperfections they may possess. Катечка, я влюблена в эти звёзды!